The Psychiatrists and Psychiatric Nurse Practitioners at the Evelyn Frye Center trained at Vanderbilt University; are board certified in their specialty and practice evidence based medicine. They provide psychiatric services for adults, adolescents, children and seniors. The size and diversity of our psychiatric staff insures that we schedule each patient with a practitioner who will meet their clinical, philosophical, personal and interpersonal needs. The role of our psychiatric providers is to assess, diagnose, treat, and evaluate treatment outcomes for a full spectrum of psychiatric disorders. We obtain and document your relevant health history, with an emphasis on your behavioral health history. 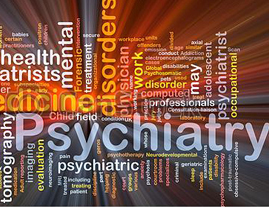 We perform a comprehensive psychiatric evaluation. We identify factors that can impact your behavioral health. We collect data from multiple sources using assessment techniques that are appropriate to your language, culture, and developmental stage, including, but not limited to, screening evaluations and psychiatric rating scales. We assess the impact of acute and/or chronic physical illness, psychiatric disorders, and life stressors. To insure that you receive the best possible psychiatric care, our psychiatric staff assign a diagnosis and prescribe psychotropic medication only after they have carefully considered all available data about your symptoms and history. An exacerbation or a re-occurrence of a chronic disorder. A new behavioral health problem. When appropriate, our staff will order and interpret findings of relevant diagnostic and laboratory tests. Educating you about the appropriate use of prescriptive, complementary and alternative therapies. Planning your care to minimize the development of complications. Promoting your improved functioning and quality of life using additional treatment modalities such as, but not limited to, psychotherapy, yoga, physical exercise, massage and acupuncture. Identifying, measuring, and monitoring clinical and related behavioral outcomes to continually assess the effectiveness and appropriateness of your treatment plan. Coordinating the transition of patients and families among mental health care settings, general health care settings, and community agencies to provide continuity of care and support for the patient, family, and other health care providers.